Are you after an affordable and high-performance treadmill for under $1,000? If so, then you have come to the perfect place. There are many types of treadmill available in the different price range in the market. We’re about to take you through everything you need to know about buying a treadmill for under $1,000. When talking about the treadmills under 500 dollars, you may see that many convenient features are missing. But if you shift a little to a treadmill that’s over $500, you will see a lot of advanced features are available. These include automatic workout programs, handrail controls and so on. The products ranging from $500-$1000 consists of adjustable incline systems and excellent quality motors as well. 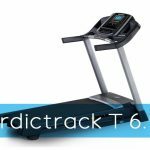 NordicTrack T 6.5 S Treadmill is one of the best treadmills under $1,000 available. You will see various advanced level features have been included in it to make your workout effective and enjoyable. Moreover, you can get the best value from it with the adjustable incline system as well. With multiple workout programs, you can be sure to use a workout set that fits your specific fitness goals. The motor with this treadmill runs on a 2.6 CHP drive system which is enough power to meet up the requirement for the walkers, joggers, and runners. You’re able to experience a top speed of 10 mph. We liked how you can increase the weight by smaller increments of 0.5 mph. This offers you excellent control to maintain a precise speed. This treadmill provides you with a 5-inch backlit display which shows you the current speed, time, distance, heart rate and the number of calories burnt in a workout. This feature makes it very convenient for you to track your progress so that you know how well you’re performing. If you want to burn more calories with your treadmill or do some specific workout for a targeted muscle, then the incline setting is very crucial. T 6.5 S brings you the feature of shifting the incline anywhere up to 10 percent. Moreover, you don’t have to stop during a workout to adjust the incline. You can do it by just pressing a single button and get the desired incline setting. T 6.5 S comes with a 20-by-55-inch tread belt with two types of decks. One is the FlexSelect-cushioned deck, and another one is the firm deck. You can make your choice during a workout with just a simple turn of a knob. The cushioned deck reduces the impact on your joints which feels more comfortable. On the other hand, the firm deck makes you feel like you are walking or running on the road. NordicTrack T 6.5 S Treadmill brings you the 20 preloaded workout apps which are specially designed by the certified trainers. As a result, you don’t have to create your exercise routine. The program will automatically adjust according to you to reach your fitness goal. CardioGrip sensors are set in the handle of the T 6.5 S Treadmill which shows displays the accurate reading of your heart rate on display. NordicTrack T 6.5 S Treadmill includes an integrated sound system. This allows you to easily play your favorite fitness playlist by connecting various devices. One-Touch Control for adjusting speed. The belt is a little bit jerky at low speed. The powerful motor, automatic incline, workout programs, and heart rate sensors enable you to have a complete workout experience. Moreover, the entire treadmill is super easy to use. We appreciated how simple it is to assemble too. Overall, it’s an awesome choice, especially when you consider that it’s under $1,000! Weslo Cadence G 5.9 Treadmill is the best seller treadmill in the year 2018. This fabulous treadmill provides you with some outstanding features like workout programs, manual incline positions, cushioning and so on. The space saver design of this machine enables you to save a lot of space at your house. Weslo Cadence G 5.9 introduces 6 outstanding personal trainer workout programs which are designed by certified, experienced trainers. These workout programs automatically adjust the speed of the treadmill during your workout. So, if you want to lose weight and burn the fat to get a fit body, then this one will be a worthy buy for you. This treadmill arrives with a two-position manual incline which you can change according to your need. You can easily increase the intensity of your workout and burn more calories by changing the incline position very easily. To make you feel comfortable with each stride, a comfort cell cushioning is provided with the Weslo Cadence G 5.9 Treadmill. This comfortable cushion cell reduces the stress on your joints and absorb the impact of the stride and keeps you comfortable throughout your workout. Keep an eye on your progress of workout with the by tracking the results on the Blue-tinted LCD with priority display. You can read this display very easily for its convenient design. It will show you the time, speed, distance and calories burnt which keeps you updated about your workout progress. An Easy Pulse sensor is set in the console of the treadmill which helps you to track your heart rate during your workout. You just simply put your thumbs on the sensor and get the reading of the heart rate on display. Weslo Cadence G 5.9 Treadmill has a great space saver design which helps you to keep it in your house conveniently without wasting much space. Just fold it up and place it in a suitable place after using it. Speed seems uneven at lower speeds. The Cadence G 5.9 is a best seller for a reason. It’s reliable, easy-to-use, and provides you with multiple workout programs. We liked the LCD display as it lets you clearly see all your stats. As a result, you can pin point the areas that need improving. ProForm 505 CST features a convenient speed control feature and an adjustable incline setting. This, coupled with a soft cushioning is more than what most midrange treadmills offer. ProForm 505 CST arrives in the market with its powerful 2.5 CHP Mach Z commercial motor which is a great product for all types of workout like walking, jogging and running. With the help of this powerful motor, this treadmill can raise its speed up to 10 mph. You can also control the speed of the treadmill very easily to perform your desired workout. To bring out the maximum output from a workout and burn more fat and calories you need to set your treadmill in a perfect incline position. ProForm 505 CST enables you to adjust the incline of the treadmill according to your requirement. Additionally, you get an option to change the incline position of it up to 10 percent. ProForm 505 CST consists of a 20 X 55 inches tread belt with soft Proshox cushioning. This soft cushioning reduces the impact of the stride on your joints and keeps you much comfort during a workout. As a result, you feel like the natural walking in every step. An LCD window is available with this wonderful treadmill which displays all the relevant data on the workout like speed, distance, burnt calories, etc. With this workout data, you can keep track of your progress very easily. A monitor is also included with ProForm 505 CST which displays the heart rate during your running, jogging or walking. The most convenient feature of the ProForm 505 CST is that it features 18 different workout programs which are designed by the expert trainers. These workout programs enable you to adjust the speed, incline, and other functions automatically. As a result, you don’t have to set your workout routines rather you follow the programs and get the maximum result out of your workout session. After researching the products available in the market, we can say that, in a midrange price level like this, ProForm 505 CST can provide you with the best features. So, if you are looking for the features mentioned above in your desired treadmill, the ProForm 505 CST would be a fantastic choice for you. Sunny Health & Fitness SF-T4400 arrives in the market with its outstanding user-friendly features which keeps it ahead on the list. The advanced handrail controlling feature makes it a convenient one for you to control it precisely during your workout. Moreover, the multiple incline system assists you a lot to get the ultimate output from the workout session. Besides the soft-drop system ensures the safety during unfolding it. The motor of the Sunny Health & Fitness SF-T4400 drives with the 2.20 peak HP which makes it great treadmill compared to the other products in this price range. If you are planning to buy a perfect treadmill for running, jogging or walking, it would be an excellent choice for you in this budget. Additionally, it also introduces the latest technology which is the handrail control. It enables you to have the control of the start, stop and adjust the speed of the treadmill at your fingertip. You can fold up the treadmill very conveniently after finishing your workout. This convenient feature helps you to save the space of your house. For unfolding it, this treadmill includes a soft drop system which enables you to unfold it safely. Moreover, it includes built-in wheels as well to move it around your house and place it in a suitable place perfectly. The manufactures of this fabulous treadmill provide you with 3 different incline level which gives you lots of flexibility during your workout. You can choose the options of incline position among 0%, 2% and 4.37% according to your requirement and your intensity of the workout. The included LCD display is easily readable. You can easily see the time, distance, calories and pulse rate from the screen. As a result, you can easily keep track of the progress of your workout. You can choose among 9 different workout programs designed by the experts which enables you to perform your workout more easily. For this reason, you don’t have to make your workout plans. Built-in workout programs are available. Tread belt is comparatively narrow. 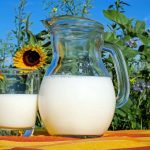 The features mentioned-above show you how the Sunny Health & Fitness SF-T4400 is one of the best options for getting the most bang for your buck. If you want to get the best value out of your money for a treadmill, then this one would be a suitable choice for you. Being on a tighter budget can make it harder to find the right treadmill for you. however, the Confidence Power Plus is one of the best choices if you have a lower price in mind. This Confidence Power Plus Treadmill provides you with the maximum functionality that can be featured in this range. It comes with a space-saving design, and a multi-function LED display. Confidence brings you an affordable treadmill which can give you the maximum workout value within this lower price margin. With the 600 W motor and 38.5 X 14 inches runway, it becomes a suitable workout machine at your home. As a result, you don’t have to go to the gym instead you can do it at your house. This budget-friendly treadmill is easy to fold up, therefore, it can save a lot of space in your home. After finishing your workout, you can easily fold it up and put it in a suitable place. Besides, the unfolding technique is also very convenient. Moreover, it includes wheels as well. This enables the user to move it around the house and place it in the desired place for working out. The Confidence Power Plus Treadmill provides you with a multi-function LED display which shows various data regarding the workout. You can track the speed, distance, calories, etc. from the LED display and keep tabs on your workout progress. Some may be disappointed by the fixed incline setting. Short for space and money? If so, this treadmill will suit you perfectly. Since this is towards the lower end of the price spectrum, it’s a good idea to reign in your expectations. Having said that, for a basic workout, this Confidence Power Plus provides you with everything you need to get it done. 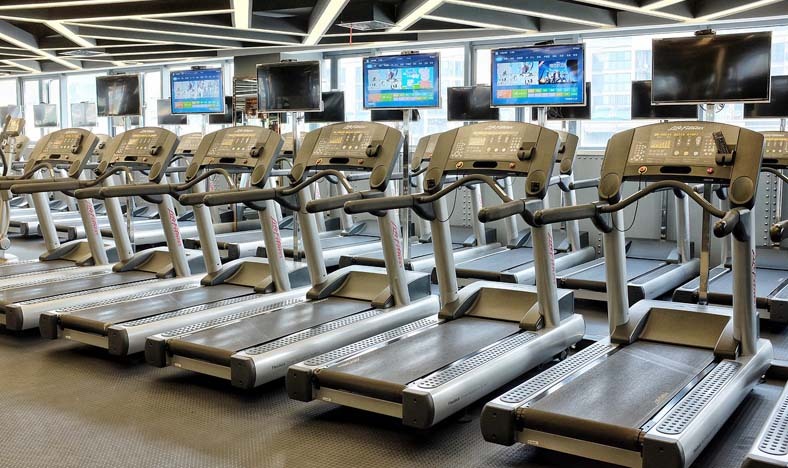 Take your budget into consideration before committing to any of the treadmills above. Also, be sure to use our reviews to help you decide which treadmill is best for your needs.